P1) For all x, (if x is a physical process, it is not the case that x is a semantically determinate process). P3) For all y, [ if (y = Modus Ponens), y is a set of operations that have a fixed and well-defined syntax and is semantically unique in its referents]. P5) For all x, (if it is not the case that the mode of being of x is physical, then x is non-physical). P6) For all x, if x is non-physical, then x cannot be physically destroyed. P7) For all x and all y, if x cannot be physically destroyed and y can be physically destroyed, x can survive the physical destruction of y.
P8) My body can be physically destroyed. The point of the argument is essentially this: A physical process can be mapped onto a language, as we have computers do. But that physical process is only simulating the use of language and the way it computes symbols is only insofar as we tether symbols to physical states undergoing various processes. But the physical process itself does not fix the semantic content or the syntax, we do. And so we say that a computer might fail to “add” properly because of a hardware malfunction. But there is no telos intrinsic to the physical process that distinguishes functioning from malfunctioning, so it is merely our attempt to simulate adding that can, at times, be frustrated by a computer functioning in ways we did not anticipate or intend. This is why no physical process can be semantically determinate. You can have a physical process that is given semantic content by a mind, and then it will be semantic, in a sense, but indeterminate in that the process doesn’t have to fix upon the syntax or semantics assigned to it. However, a mental process like reasoning according to Modus Ponens is a syntactically well-defined operation that a mind can do. When the mind is doing this operation, it is preserving truth values. A mind cannot “do Modus Ponens” and “not do Modus Ponens” at the same time and in the same way. But a physical process “programmed” to track “Modus Ponens-like inferences” can run a program that makes “Modus Ponens-like inferences” while never actually doing Modus Ponens. It might be doing some other operation all together that is indistinguishable from Modus Ponens up to any given point in time, but in the next run of the program, the hardware catches on fire and it spits out on its display “if p, q/ p// not-q”. You can’t say that catching on fire and displaying an invalid argument on a screen was not part of the process, since the process just is however the hardware happens to function. Given this, and given that the thing known is in the knower according to the mode of the knower, the rest follows from relatively uncontroversial premises. 3 (P4) is based upon the principle that a thing known is in the knower according to the mode of the knower. See, for example, Thomas Aquinas Summa Theologiae I.14.1. I think James Ross’s Immaterial Aspect of Thought offers one of the most powerful counter-arguments to physicalism. That said, the argument is difficult to grasp. Edward Feser has an article that unpacks the argument a bit more, and some blog posts on the argument, which can be found here. Also, I think this post by Rocket Philosophy does a good job explaining the relevance of Kripkenstein’s quus to Ross’s argument. Part of the reason that this argument is difficult is because we have to be clear on what terms like “determinate” and “formal” mean. When I’ve tried to explain this argument to others, I’ve emphasized the ways in which formal thinking is truth-preserving in all relevant cases. But my interlocutors often counter with the fact that we can malfunction in our calculations just like calculators, and more often than not we do! They take this to be evidence that we, like the calculator, simulate adding as best we can with the hardware we have, i.e. the brain. My objection to this is that a simulation cannot properly assess when a malfunction has occurred, but we often catch our own mistakes. Furthermore, we are capable of recognizing when a calculator fails to preserve the truth of some function in a relevant case, i.e. when it malfunctions. But a calculator could not recognize that its processes cohere with quadding rather than adding. Should two calculators take in the same input and provide different output, neither calculator could adjudicate over the matter. They could only disagree over what physical processes cohere with adding and which with quadding. P1. No physical processes are processes that contain stages literally expressible in the imperative mood. P2. Some mental processes are processes that contain that stages literally expressible in the imperative mood. C1. Some mental processes are not physical processes. P1: All physical processes are matters of fact, and all matters of fact are about what is the case, and so must be expressed by the indicative mood. I say “literally expressible” to avoid the possible objection that one might use the imperative mood in a metaphorical sense, as in saying something like, “the sun ought to rise.” A computer programmer might object by saying that imperative programming is commonplace and computer programs are physical processes containing stages expressible in the imperative. At best, those stages involve the mental processes of the computer programmer who thinks, “if the program receives this input, it should provide that output”. The programmer then utilizes her knowledge of causal relationship between the software and the hardware, and the hardware with itself, so that it behaves according to the way she thinks it ought to behave, that is, given the ends the programmer has in mind. The computer program itself is fully described and explained according to descriptive physical laws, without reference to the normative logical laws or the practical reasoning employed by the programmer. When we think that a program issues and follows commands, we are speaking metaphorically. The program isn’t literally “oughting” its way through the command lines. P2: Some mental processes contain stages that are normative. For instance, formal thinking is normative in that it appeals to rules so as to preserve truth. Likewise, moral reasoning involves an appeal to normative rules that preserve goodness. So a certain stage in a mental process could be literally expressed in the imperative mood. A person might express a certain stage in a mental process as “I shall conclude with the consequent of this conditional, since I have affirmed the antecedent” and so engage in the formal processes of modus ponens, or he might think “I ought to stop that mugging from happening” as part of a mental processes whereby his mind resolves to apprehend some villain and restore justice. A physicalist could object that one might be able to express all mental processes in the indicative, that is, with the appropriate adjustments, say, by burying all imperative verbs in noun-phrases, e.g. “the thought that I ought to stop the mugging from happening is occurring in my mind.” But the ability to avoid the imperative isn’t sufficient to avoid the conclusion. My argument runs not only if certain mental processes contain stages that can only be expressed in the imperative, but if such processes are possibly expressed in the imperative. Put simply, it isn’t possible to express physical processes in the imperative, at least if the expression is literal. Implications for freedom of the will: The physicalist might be tempted to think that mental processes can only be metaphorically stated in the imperative, but the thought process itself should be literally expressed in the indicative, even if the content of those thoughts are expressed in the imperative mood. This naturally leads to the sort of determinism that causes the libertarian to recoil in horror. And the libertarian can hardly be blamed for such a reaction! For the determinist treats the normative content of thoughts as a mere epiphenomenal feature of the thought. The thought processes themselves are extrinsically determined by all of the physical facts involved. The libertarian, on the other hand, believes that the agent contributes uniquely to the causal nexus by willing to adhere to certain normative principles, that is, by allowing her apprehension that she ought to follow those principles to be part of the causal process by which she acts. I would suggest that agent causation can be understood best if one accepts that certain stages of the mental process can be expressed in the imperative mood. This is because mental processes can have genuine normative features, while physical processes cannot. If a mental process includes the apprehension of normative principles such that the apprehension is an actual part of the process (and not an epiphenomenon of the process), then an agent genuinely reason validly, i.e. with formal processes that preserve truth in all relevant contexts. For, to reason validly is not merely to accidentally accord with the formal process of a valid deduction. A process that is “accidentally valid” is just a simulation of validity, since the process of a valid deduction doesn’t just happen to be truth preserving by some coincidence of the physical laws. So to deny that we really reason validly is to undercut any sound argument in favor of determinism. Hence determinism is viewed as self-defeating. Why should I follow the reasoning of someone who concedes that his reasoning process is no more truth-preserving than the processes by which my Mr. Coffee brews my morning cup. The process that Mr. Coffee undergoes has nothing to do with truth preservation. Even if we decide to the coffee grounds stand for “1”, the water for “2” and the coffee that drips out of the machine as “3”, we can’t say that the coffee machine genuinely adds. It merely undergoes processes that we anticipate through induction. We can assign values to the physical components that the coffee-maker predictably modifies, declare by fiat that the modification is some function, and then use the coffee maker as a rudimentary calculator to help us track our own thinking processes (we just have to remember that grounds are a symbol like “1,” water is a symbol like “2,” and coffee is a symbol like “3”). Daniel Dennett famously argues that religious beliefs originate in our HADD (hyperactive agency detection device). That is, we are evolved to attribute agency to any given phenomenon, whether it is the wind blowing a branch, or a thunder-clap. Ironically, I think it is physicalism that is a result of HADD. But it happens in three stages: 1) the physicalist falsely detects agency in a calculator, 2) the physicalist realizes that the calculator can be completely explained through physical processes, 3) the physicalist concludes by analogy that his own agency can be completely explained through physical processes. Calculators don’t have libertarian freedom, but they can add just like the physicalist without the need of such mystical freedom, or so the physicalist presumes. If the determinist is correct, the processes by which she arrived at the conclusion contained no normative principles. However, this is why the libertarian says that the determinist abandons morality. The alternative view suggested here is that agent-causation occurs when a mental process becomes normative, which is to say that the normative aspects of thought feature as a genuine part of a mental process. But then agent-causation is not reducible to a physically determined process. To return to an earlier point, when I correctly perform a mathematical operation, I sense my own freedom and ability to take a truth-preserving function and choose to have that function preside over my thoughts. When I make a mistake in mathematics, I realize that my freedom is limited and constrained at times. I think about how I must have failed to remember the proper rules, or forgot which numbers I was dealing with, or lost focus about what I was doing, and so on. 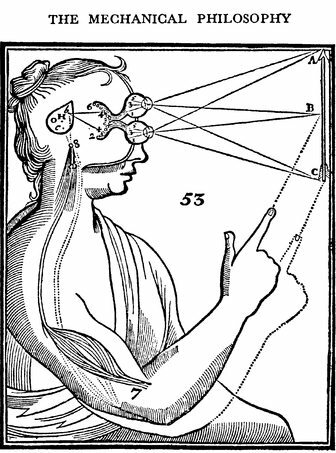 But that works well with my own theory of mind arising out of hylomorphism, for I do think that memories are located in the brain, and that there is two-way causation between the physical aspects of the mind and the immaterial intellect. The ability to be free is not a guarantee that I will always act freely, nor is the ability to reason in truth-functional ways a guarantee that we will always think validly. We can make mistakes. But it is our ability to recognize and learn from our mistakes along with our desire to avoid them that makes us more than just physical. This song always reminds me of a certain argument against the identity of minds with their physical correlates. Each of us has privileged access to our own mental lives. No one can feel the rain on your skin for you. No one can experience your pleasure, or your pain. Even if we could use behavioral analysis or scans of the brain to infer your thoughts, there is something special to the way you access your own thoughts. Whereas the former constitutes publicly accessible knowledge, the latter are intimately and uniquely known to the subject. The philosopher Richard Swinburne argues that these sorts of mental events are evidence that the supposed identity between the mind and the brain fails. Swinburne’s point is that it is not at all obvious that a full physical description would include a description of the event from the perspective of the one who actually experiences the mental event. Even if the physicalist were to insist that a full physical description would contain a perspectival description, the physicalist would be in no position to claim that one description logically entails the other. But if there is brain-mind identity, then mental states simply are identical to physical states. Since experiencing rain on one’s skin is a mental state, it would be identical to a brain state. But brain-states lack the sort of special access that mental states have. Even the subject who “feels the rain” on her skin would have to use the same sort of equipment as the neurologist to observe those brain states that occur simultaneously with the experience. That is, we don’t have privileged access to brains, even (or rather especially) the grey matter that is encased in our own skulls. Likewise, the neurologist cannot use her equipment to have your experience. At best, she can infer what that experience might be like by correlating physical states with mental states and extrapolating. But her inference of what your inference is like is not your experience, it can’t be, it is her experience of the extrapolation of what your mental states might be like given physical states. 1. 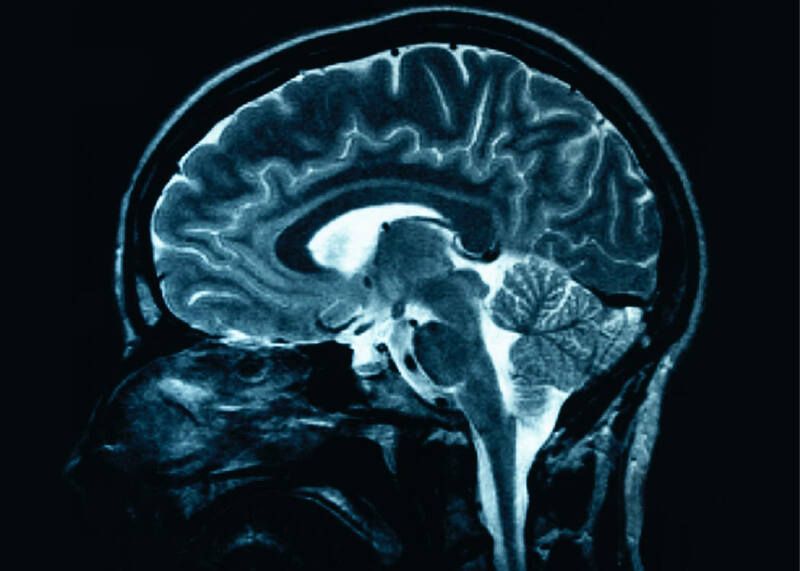 Brain states are identical to mental states (Assumption). 2. Some mental states are states for which there is privileged access. 3. No brain states are states for which there is privileged access. 5. Brain states are not identical to mental states. Disclaimer: Philosophy of Mind is not my specialty. So perhaps I am about to step in it with this post. But I really want to work out my reasons for why I find emergentism suspect. Also, I realize that there are alternative ways in which philosophers define terms like “reduction” and “emergence”. Perhaps the way I am using these terms leads me to the problems I see. Comments, as always, are welcome. A defensible version of the principle of sufficient reason, PSR, says something like: every contingent fact has an explanation.1 That I have a conscious mind is a contingent fact, so I would expect that it would have an explanation, and I would be very much unsatisfied by a theory of mind that rested on a violation of the PSR—asserting that minds are inherently inexplicable brute facts. My question is whether any physicalistic theory based on emergentism offers us an explanation for the mind. That is, can a non-reductive physicalism based on emergent properties cohere with the principle of sufficient reason? Jaegwon Kim says that one of the central doctrine of emergentism is that some property p is emergent only if p is not explainable in terms of its “basal conditions”.1 Furthermore, the way in which a property emerges from its basal conditions cannot be predicted through a mere analysis of the basal conditions. Rather, it is only through a Humean constant conjunction that the emergentist thinks we can learn to anticipate which kinds of emergent properties correlate with which configurations of basal conditions. Put simply, the emergentist appeals to the idea that p is “emergent” in an effort to explain how p can be ontologically dependent on a certain set of physical basal conditions, B, while not being reducibly explained by B. But if p cannot be reducibly explained by B, we might begin to wonder whether the claim “p is emergent” can genuinely function as an explanation. Suppose we bite the bullet and assert that, since it cannot appeal to B for an explanation, emergentism simply rejects that there can be an explanation for p. I think three untoward consequences follow: a) emergentism becomes an inherently controversial position, since it would implicitly entail the failure of the PSR, b) in rejecting the PSR, emergentism becomes a black-box rather than a genuine explanation for p; i.e. it merely states the triviality that p exists while masquerading as an explanation for why p exists, and c) in rejecting the PSR there could be no explanation for the constancy of p, given B, rather than some non-p alternative. Any appeal to B as the sufficient explanation would erode the central claim of emergentism—that it is a non-reductive theory. With these consequences in mind, I think the emergentist would want to say that p is explicable, just not reducibly explicable to its physical basal conditions. Given that p is contingent and has an explanation, it cannot function as its own explanans. Therefore, its explanation must come from something else. But assuming that the explanation cannot be sourced in B, we must rule out all of those physical constituents upon which p ontologically depends. So could the explanans for p include some other physical entities, laws, or processes, call it “E”, that do not belong to the set that comprises B? How would that work? For, it would seem that p would have to be ontologically dependent upon E in some way, and so E would necessarily be a constituent of B. For if E failed to obtain, the explanans for p couldn’t possibly obtain. And if p were to obtain sans its explanans, how could E genuinely serve as the explanans? The necessity of E for p suggests physical ontological dependence. So if emergentism doesn’t presume the failure of the PSR, and p is explained by E, then E is a constituent of B. Yet, any from of emergentism where p is explained by E, and where E is a subset of B, is merely a form of reductionism. 3) The Principle of Sufficient Reason obtains. At most, two of the three propositions above can be true. For instance, if everything is physical, and emergentism requires that B cannot explain p, then the PSR fails. For any proposed physical explanation for p would be subsumed into B as part of the physical basal conditions, and so must be ruled out as an explanation for the emergent property. Likewise, if everything is physical, and the PSR obtains, for any contingent p, p can be reductively explained by B. In which case, emergentism fails. Finally, if emergentism and the PSR are true, physicalism is false. For, such a case would require that there be a non-physical explanation, one that cannot be subsumed into B. Given the above analysis, it seems to me that emergentism, as a physicalistic theory of mind, is susceptible to the previously mentioned untoward consequences. Implicit within the theory is a failure of PSR. And so emergentism, at best, functions as a black-box pseudo-explanation. To say that the mind emerges from the brain is just to say that there cannot be an explanation for why minds correlate with brain-state basal conditions. Furthermore, it cannot account for the constancy between brain states and conscious mental states. Why shouldn’t brain-state basal conditions give rise to other possible emergent properties rather than mental states? If one were to take the PSR seriously, and maintain one’s commitment to emergentism, then one would have to appeal to at least some non-physical facts as part of the explanation for how the mind might emerge from correlated physical basal conditions. But if the point of emergentism is to avoid the appeal to souls, formal causes, God, and the like, this route is simply not available. It is for these reasons that I do not see emergentism as a viable non-reductive physicalistic theory of mind. 1See A. Pruss. 2006. The Principle of Sufficient Reasons. New York: Cambridge University Press. 2J. Kim. 1997. “Explanation, Prediction, and Reduction in Emergentism”. In Intellectica Vol. 2. No. 25. pp.1-2. “If [Helen Joy] ‘is not,’ then she never was. I mistook a cloud of atoms for a person. There aren’t, and never were, any people. Death only reveals the vacuity that was always there. What we call the living are simply those who have not yet been unmasked. All equally bankrupt, but some not yet declared” (C.S. Lewis 1989, 41). I think Lewis is basically right. To me, the soul is the formal principle of the body–necessary to explain a person’s identity and individuation despite spatio-temporal and material change. If souls do not exist, i.e. if there are ultimately no real formal causes to explain how the physical parts of a human body can constitute an organic whole conscious and living person, then what natural/physical facts or phenomena could be invoked to explain the fact that I am a whole person? If naturalism is true, and there are no souls, does it remain possible to show that mereological nihilism is false? Lewis, C.S. 1989. A Grief Observed. New York: Harper Collins Publishers. In a previous post, I considered Plantinga’s modal argument for dualism. The argument is essentially a refinement of the those put forward by Descartes, though perhaps a bit more rigorous in its appeal to the principle of the indiscernibility of identicals along with some modern notions of modality. However, the whole argument really comes down to the intuition that if something is conceivable, then it is logically possible. Some of my commentators countered Plantinga’s argument by saying that while it might be prima facie conceivable that I inhabit another body, it may in fact be logically impossible for this to occur. I countered with Chalmers‘ discussion of the conditions by which conceivability would entail logical possibility and that conceiving one could inhabit another body would fit those conditions. Here I would like to offer a slightly different argument for the logical possibility of inhabiting a different body. Basically, this is a reductio based upon one of the most universal moral intuitions there is: the Golden Rule. Since the Golden Rule is accepted by almost every culture and religion, I would say that it is intuitively known to be an objective truth. I think this insight goes far to dispel physicalism, but we have to consider what the Golden Rule entails. The Golden Rule states something like, “one should love and treat one’s neighbor as oneself.” It seems to me that the Golden Rule depends upon the conceivability of thinking that I could inhabit the position relative to my neighbor and/or that my neighbor could inhabit my position. So, for instance, I determine that I ought not to steal my neighbor’s food, since I could conceive of myself as standing in my neighbor’s position and that his food is my food. Since, I would not want my neighbor to steal my food, I can imagine that if I were him, I’d not want it to be stolen either. So, the underlying empathy that the Golden Rule appeals to hinges on counterfactually conceiving oneself in another person’s position. It is not enough to say “I don’t want my food to be stolen”. That doesn’t get you far. Nor can you say, “If I were my neighbor, I wouldn’t want my food to be stolen” because you don’t really know what your neighbor wants or desires. The key to the Golden Rule is maintaining the “how you want to be treated” clause with a consideration for your neighbor’s situation. You must bring yourself into his position not by imagining that you ARE him, but that you could be where he is. But now consider this: ought I to cut my neighbor’s arm off? If I apply the Golden Rule, I must be able to conceive of the possibility that I inhabit my neighbor’s body. I certainly would not want the arm to be cut off were I to inhabit such a position, so I cannot cut his arm off. The issue then comes down to this point: when the Golden Rule is be applied to questions of the body, it seems that one must be able to conceive of the possibility of inhabiting one’s neighbor’s position, and in many cases this means his body. This conception is certainly prima facie conceivable. But if the conception is ultimately logically incoherent, then the application of the Golden Rule depends upon a logical impossibility. This means that one cannot really conceive of what it would be like to be a neighbor’s body and so the empathy evoked is unjustified. Thus, the appeal to how we want to be treated is improperly assumed to apply to our neighbor, since nothing really must be the case once an logical impossibility is admitted. However, it is plainly obvious that the Golden Rule can be applied in moral considerations considering the treatment of the human body. And it would be absurd to think that a rule to which so many often appealed when justifying non-violence against another person’s body is,within its core assumptions, logically impossible. Therefore, it must be conceivable and also logical possibility. But then, if I could be my neighbor’s body, then I am not my body. This is because while it is possible that I could be me and in a different body at the same time, it is logically impossible that I could be me and also a different me at the same time. Thus, the empathy that lies at the core of the Golden Rule requires a discernible difference between myself and my body. Since physicalism posits that I am my body, it must be false. 1. The most obvious objection is that the empathy that lies at the heart of the Golden Rule needn’t depend upon the logical possibility of counterfactually conceiving oneself in another person’s position. A physicalist might give an entirely naturalistic account of empathy which avoids such reasons. For instance, a man stubs his toe and screams and moans. Those sound waves evoke brain states in me whereby I come to believe that I understand that there is a person other than myself experiencing pain and I feel bad about that belief. No mystery, no ghosts in the machine, nothing “spooky” is going on at all in this account. Furthermore, it seems that we have not applied counterfactual thinking to explain empathy. And indeed, I would agree that we could explain empathy without appeal to counterfactuals. But an explanation is very different from a justification. If the Golden Rule can be explained, but not justified, then it is not an adequate ground for moral reasoning. So often in debates between physicalists and non-physicalists the distinction between explanation and justification is missed. The physicalist claims only to be able to give an account for something purely physically. The non-physicalist demands not a physical explanation, but a physical justification for something like empathy or the Golden Rule. At least to me, there can be no justification of the principle unless it is assumed that there are not just other bodies, but other minds and that it is at least possible to think of minds as separate from bodies so that a switching of positions is conceivable. The Golden Rule requires a “bringing-together” of “how I want to be treated” with the other. 2. It could be objected that it is logically possible to imagine that I am my neighbor’s soul. In other words, shouldn’t the Golden Rule apply to cases where I consider whether I ought to cause harm to the soul of my neighbor. I’d have to be able to conceive that I am my neighbor’s soul, which would mean, by an analogous argument, that I am not identical to my soul. So it seems that I must argue that the Golden Rule only prima facie applies to cases where harm might be caused to a neighbors soul, but that it is really logically impossible to apply the Golden Rule in such cases. I think this would mean that, ultimately, the Golden Rule could not be applied to cases where one might directly harm a neighbor’s soul. Why might this be? Perhaps it is because it is impossible for one to harm another person’s soul directly–one can only harm one’s own soul and only another person’s soul indirectly. But this does not mean that one cannot cause harm to another person’s soul in another sense. For instance, suppose I were to tempt my neighbor into stealing an automobile. We might suppose that becoming a thief is damaging to a person’s self, or soul, rather than to his body. But, am I really causing harm directly to my neighbor’s self or soul when I tempt him? No. What I am doing is making use of my neighbors ears, by whispering tempting words into them. I am using words to alter my neighbor’s emotional states, or passions. I am altering my neighbor’s body in an attempt to influence his will. In such a case, I am responsible for affecting my neighbor’s body in a way that I would not want my own body to be affected, so I have done my neighbor wrong–but it is a wrong to his body. Thus, if the Golden Rule applies to cases of harm to the soul, it is only insofar as one can do harm to a body, which affects the soul. I cannot harm another person’s soul directly, but only through the other person’s cooperation. So in the case of temptation, I only take the position of my neighbor’s body. If I were also to take the place of his soul, then I am really not imagining the situation properly to derive reciprocity. For if I were to imagine that I were his soul too, then I could not use any of my own intuitions about how I would want to be treated so as to apply those intuitions to his case. Deriving reciprocity depends upon keeping some aspect of myself while counterfactually exchanging some non-essentials between neighbors. 3. A physicalist friend of mine has prompted me to consider a third possible objection. Though perhaps practically infeasible, suppose a complete brain transplant were possible. One might be able to imagine oneself as “conscious” in another person’s body if one were to imagine that one survives a brain transplant into a new body. Thus, the counterfactual imaginings central to the Golden Rule need not be anti-physicalistic at all, if physicalists can meaningfully speak of a person being conscious at all. I think this is an important objection because it gets at the heart of the physicalist problem for me. Suppose I were to imagine that such a surgery took place–that my brain has been transferred into my neighbor’s body. Is the result a switch of position? Is my conscious-self in a new body? I would say no. The result is far from my possessing or inhabiting my neighbor’s body. Rather, the result of the surgery seems to be some sort of chimerical Frankenstein’s monster, at least that is how the thought strikes me. Thus, the result of such a thought experiment allows for no application of my intuitions as to how I want to be treated if I were in my neighbor’s position. Instead, given the veridicality of physicalism and a successful brain transfer, two humans are destroyed and something new has been made. The Golden Rule question is lost and instead one is mired in a sorties paradox of how much of you is necessary for you to remain yourself. I don’t think there is a good answer to this question under physicalism, so the paradox cannot be resolved. Rather than providing a good counter-example as to how a physicalist might counterfactually imagine him or herself in another person’s position, such thought experiments reveal only deeper metaphysical problems for the physicalist. Rather than pumping our moral intuitions about how we ought to treat our neighbors, we are left scratching our heads without a good account of what makes a person self-same. No, I don’t think a brain transfer thought experiment will help us to be able to appeal to the Golden Rule and also be physicalists. (1) The Golden Rule is moral principle that can truly be applied to a case if and only if counterfactually conceiving myself in another person’s position is logically possible. (2) If the Golden Rule can truly be applied to cases of the human body, then conceiving myself in my neighbor’s body is logically possible. (3) If I am my body, then it is not logically possible to conceive myself in my neighbor’s body. (4) If physicalism is true, I am my body. (5) The Golden Rule can truly be applied to cases of the human body. It all comes down to the price you have to pay. If you want to maintain physicalism, you have to deny the logical possibility of inhabiting a body other than your own. This means that you cannot coherently apply the Golden Rule to cases of the human body. Since nearly every ethical and religious moral theory appeals to the Golden Rule on some level, this is a very high price to pay. I have to give up on physicalism so that I can continue to use a moral principle that has not only served me well, but I think lies at the core of any conception of morality. It’s A Duck… No, A Rabbit… No, It’s Physicalism! One might object that any formulation of physicalism which utilizes the theory-based conception will be either trivial or false. Carl Hempel (cf. Hempel 1970, see also Crane and Mellor 1990) provided a classic formulation of this problem: if physicalism is defined via reference to contemporary physics, then it is false — after all, who thinks that contemporary physics is complete? — but if physicalism is defined via reference to a future or ideal physics, then it is trivial — after all, who can predict what a future physics contains? Perhaps, for example, it contains even mental items. The conclusion of the dilemma is that one has no clear concept of a physical property, no concept that is clear enough to do the job that philosophers of mind want the physical to play. One response to this objection is to take its first horn, and insist that, at least in certain respects contemporary physics really is complete or else that it is rational to believe that it is (cf. Smart 1978, Lewis 1994 and Melnyk 1997, 2003). But while there is something right about this, there is also something wrong about it. What is right about it is that there is a sense in which it is rational to believe that physics is complete. After all, isn’t it rational to believe that the most current science is true? But even so — and here is what is wrong about the suggestion — it is still mistaken to define physicalism with respect to the physics that happens to be true in this world. The reason is that whether a physical theory is true or not is a function of the contingent facts; but whether a property is physical or not is not a function of the contingent facts. For example, consider medieval impetus physics. Medieval impetus physics is false (though of course it might not have been) and thus it is irrational to suppose it true. Nevertheless, the property of having impetus — the central property that objects have according to impetus physics — is a physical property, and a counterfactual world completely described by impetus physics would be a world in which physicalism is true. But it is hard to see how any of this could be right if physicalism were defined by reference to the physics that we have now or by the physics that happens to be true in our world. A different response to Hempel’s dilemma is that what it shows, if it shows anything, is that a particular proposal about how to define a physical property — namely, via reference to physics at a particular stage of its development — is mistaken. But from this one can hardly conclude that we have no clear understanding of the concept at all. As we have seen, we have many concepts that we don’t know how to analyze. So the mere fact — if indeed it is a fact — that a certain style of analysis of the notion of the physical fails does not mean that there is no notion of the physical at all, still less that we don’t understand the notion. While Wittgensteinian family resemblances might be the best we can do to “define” physical theory, it is still inadequate to answer the charge of this dilemma. The point is that we cannot anticipate what future member of this family might come about, so we cannot be sure what ought to count as physical. Furthermore, it is precisely with regard to the boundary cases, the mind, and what is now called the supernatural, that may alter an change what is “defined” as natural or physical. We must operate within the family resemblances we now have, not an ideal set of family resemblances. Thus, I do not think Wittgenstein provides an out for this dilemma. So I am content to say that physicalism is either false or trivial. 1D. Stoljar. 2009. Physicalism. The Stanford Encyclopedia of Philosophy. Retrieved September 4, 2011. If H. ‘is not,’ then she never was. I mistook a cloud of atoms for a person. There aren’t, and never were, any people. Death only reveals the vacuity that was always there. What we call the living are simply those who have not yet been unmasked. All equally bankrupt, but some not yet declared. 1. If physicalism is true, then there are no objective criteria for individuating and identifying persons. 2. If there are no objective criteria for individuating and identifying persons, then no persons exist. 3. If no persons exist, then I cannot experience love for my wife. 4. If I experience love for my wife, then there must be persons. 5. I experience love for my wife. 6. Therefore, physicalism is false. In other words, if the physicalist is to convince me that my experiences belie reality, they still must appeal to me and “my experiences”. If my experiences are to be false and I am mistaken, then there must be criteria for individuating and identifying me from the rest of the physical universe. These criteria cannot be subjective, arbitrary, and ad hoc. Rather, they must be objective, essential, and real. But, I think we have good reason to think premise 1 is true. Organisms constantly change in that which they are physically composed. The physicalist might say that the pattern remains the same, but they really mean that patterns are similar. Consider the physicalist who supposes that a transporter might copy a human, decompose the matter at one location and reproduce the pattern perfectly elsewhere. The physicalist might say that the human has been transported like a faxed message. But if the original is not destroyed when the copy is produced, the physicalist struggles to explain what has happened. Are both the copy and the original the same person? The struggle reveals the point that even if all physical facts of a person are copied and reproduced in matter elsewhere, there is still something non-physical through which a person is identified and individuated as the self-same person. So, I would challenge the physicalist to supply these objectively real criteria. For, without such an account, I could hardly be faulted for thinking that these real and objective criteria are found in non-physical realities–in what the supernaturalist calls the “soul”. 1C.S. Lewis. (1961). A Grief Observed. New York: Harper Collins Publishers. Aside from the fact that Dr. Plantinga isn’t quite sure how many legs a beetle has–come on, eight, really?! ?–I think he presents a really good argument against physicalism. 1. If I am my Body, then anything possible with regard to me is also possible with regard to my body. 2. It is possible that I exist when my body does not exist. 3. It is not possible that my body exists when my body does not exist. 4. Thus, “I exist without my body” is something possible with regard to me that is not possible with regard to my body. 5. Therefore, I am not my body. The argument demonstrates a discernible difference between the body and the self. But does it matter that we are talking about mere possibilities here? Plantinga’s point is that there is no possible world where a body exists without itself. Yet, it does not seem logically impossible to imagine a possible world where the self exists without its body. We take such stories to be supernatural, fantastical, or fictional, but not logically incoherent. So, it seems reasonable to suppose the logical possibility of a disembodied self. This means that proving an identity relationship between the self and the body requires a lot more than empirically proving a causal relationship between physical states and mental states. One must also prove that it is logically incoherent to suppose that there are any possible worlds where the self is disembodied. So it seems that while this burden is heavily placed upon the physicalist, the supernaturalist can merrily go along believing that she is her soul. Right? Not so fast, my friend Shaun Miller has pointed out to me that this argument, if anything, proves too much (Shaun was inspired by Shelly Kagan, ff about 43 min in for the appropriate part). Kagan points out that we could imagine that the same body is possessed by different souls. His point is not that we are not our soul, but that our soul doesn’t seem sufficient to establish personal identity. As far as I can tell, Shaun’s response to Plantinga is original, and quite difficult to overcome. He points out that we could substitute just about anything in the argument, including the soul, and prove it to be non-identical with the self. Does this mean that I am not my soul?!? My initial reaction to this was, “Well, it’s just not possible that I exist without my soul, since I am my soul.” But now I’m guilty of special pleading. This fallacious soul-ution is to stipulate that “soul” is simply defined as “self”. But then we have just stipulated our way to victory, which is not very satisfying. What would prevent the physicalist from stipulating “body” as “self”? We’re back to square one. Upon further reflection, I think the argument achieves something. It proves that unless we have good reason to think that it’s not possible for X to exist when Y doesn’t exist, then we don’t have good reason to think X and Y are identical. I have no good reason to think I am my body, because I think it is at least logically possible to be disembodied and survive. But then I should be willing to bite the bullet and concede that I have no good reason to think I am my soul. So be it. I have no good reason to think I am my soul either. As I said before, we could substitute just about anything for body–just about. However, I cannot substitute “self”. Whatever “self” is, it cannot both exist and not exist, at the same time, and in the same possible world! So I do have good reason to think at least this… I am myself. But is this an adequate response? Are there other problems with the argument that I am not mentioning here?